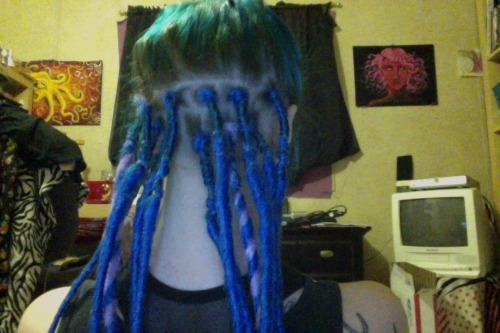 So, I've made hundreds of dread extensions for "real" dreadlocks, and I have had "real" dreadlocks in my hair for about a year before I took them out. 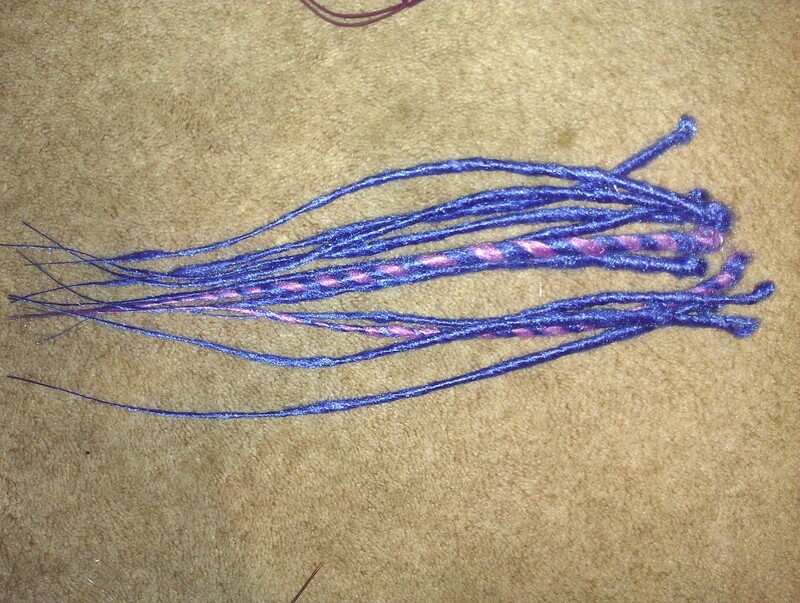 I'm making my first set of synth dreads, and sealing them is really fun and all. 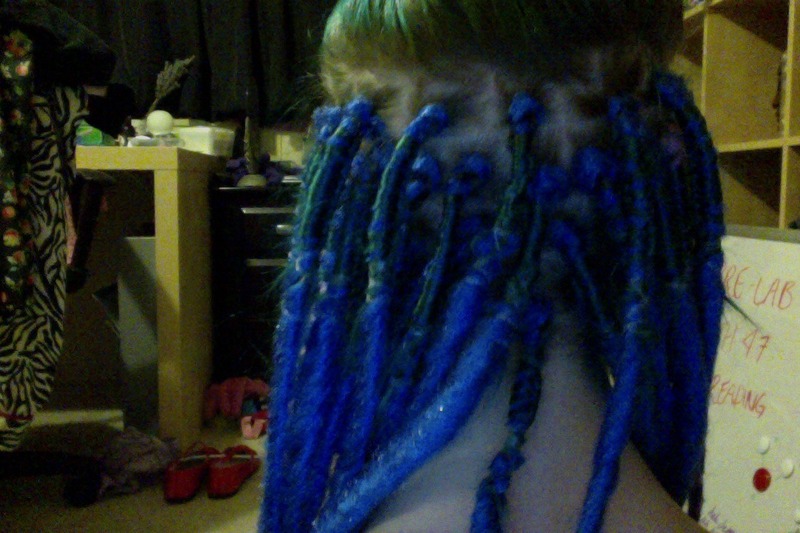 I'm just nervous that I might be installing them too tightly (it feels snug, not painful or anything). Also, am I making my loops too big? 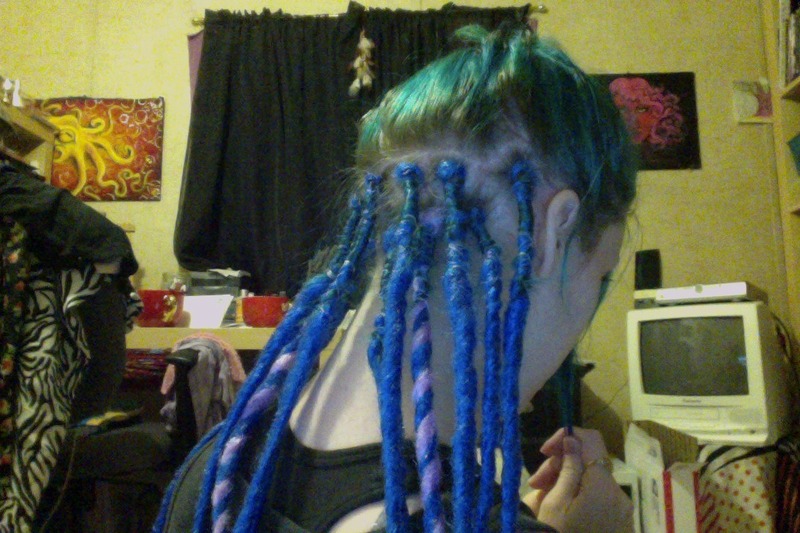 They kind of just stick to my head like a weird ornament when I braid them in. 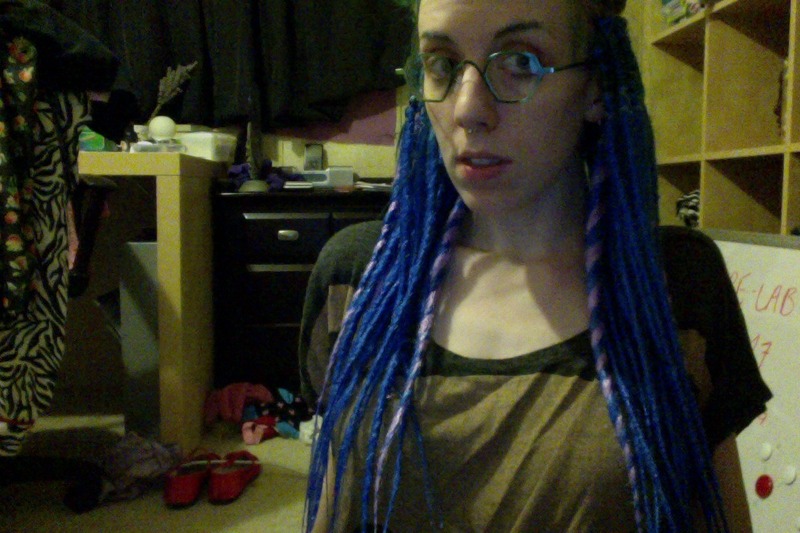 Either way, I thought I'd give this synthetic dreads thing a go and see what happens. 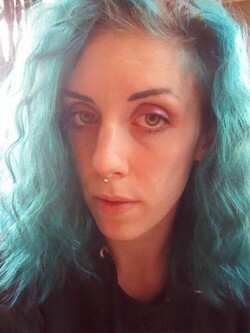 Not sure if I like it, but hey, what's life if you don't do weird stuff to your hair every 3-6 months? Can you guys critique on the way the set is looking? 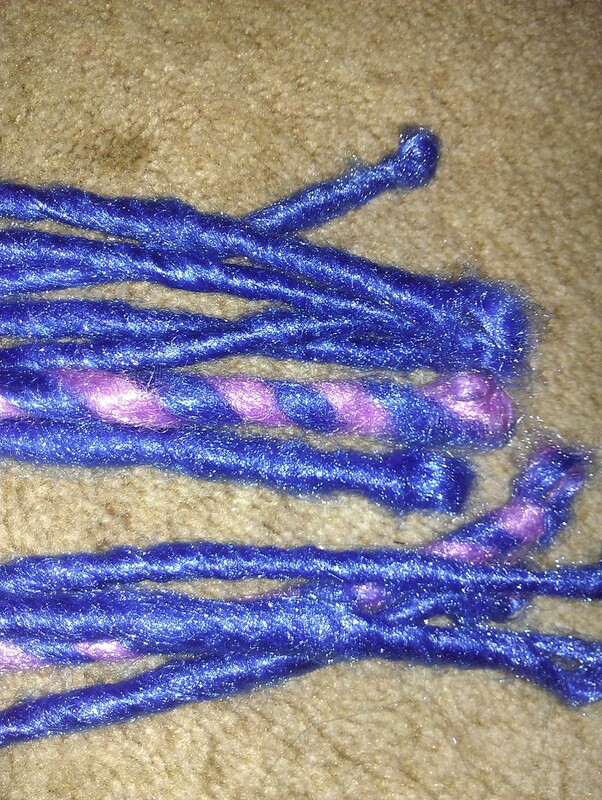 I've gotten more badass at sealing the ends since these first ones. I'm using a wet cloth with my flat iron on the highest setting to seal them. 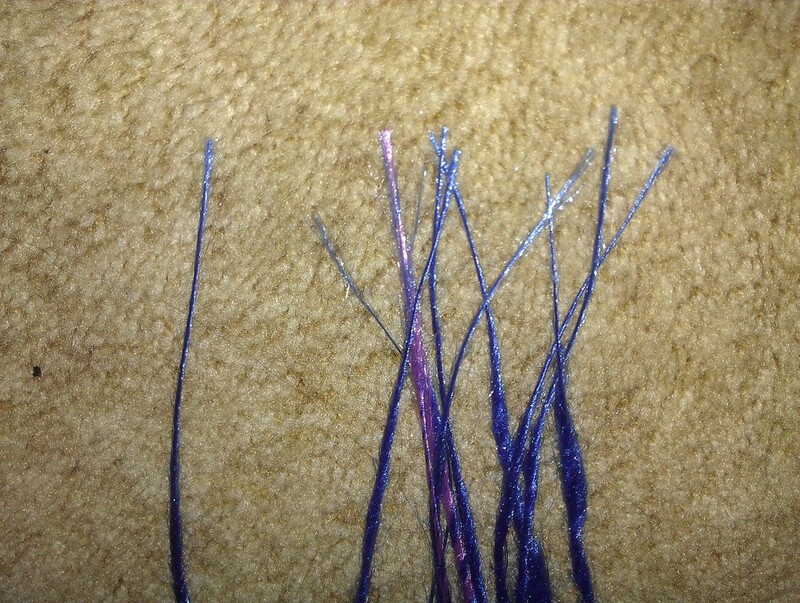 Thanks to rivetlicker for her great tutorials on making these! <3 What do you think? Thanks so much for any advice or input you folks have! Your loops aren't terribly big. SE loops are funny to install. It's best just to thread one strand of your sectioned hair through the loop and secure it with the other strand, then tightly braid.